We're a home building company based in Sussex, well known for our outstanding customer service and quality craftsmanship. Our team are experts in new build projects, renovations and refurbishments. Above all, we have been serving the area for over 10 years with quality windows and glazing services, covering everything from double glazing, windows, doors and conservatories. Check out our portfolio and get in touch today! We'd love to help. M B Cable Ltd is a trusted Lewes based building and renovation company that was set up more than 20 years ago by the owner, Marc Cable. 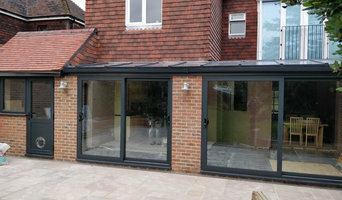 Over that time we have grown from strength to strength, even through difficult economic periods, and are now one of the most well regarded building and renovation companies in the area. The key to our continued success has been due to our ethos of delivering quality workmanship on time and to budget; the fact that most of our work has come via word of mouth from previous clients is testament to this. Our reliability and integrity in taking pains to do the job right sees clients return to us time and again. We provide a wide variety of building and maintainence servce; from bespoke extensions, loft and garage conversions to all forms of building renovation and repair of both modern and historic buildings. Our experenced team of skilled craftsmen and tradesmen deliver the quality finishes that has helped found our well-earned reputation throughout the area. Please feel free to contact us to discuss any project you have, or to arrange an estimate. We have been designing and building bespoke living spaces and extensions for more than a decade. During this time, we have earned an impressive reputation for outstanding design, superior quality and ease of maintenance. We are the designer, planner and builder. From initial consultation through to project completion, every step is undertaken by our team of experienced professionals designing, gaining planning consent (where required), and professionally managing the project build. By closely controlling the number of projects we undertake, we are able to maintain our incredibly high standards. We directly manage all aspects of production from initial design to the final coat of paint. Our dedicated team pays close attention to every project and will often be found visiting sites to check on progress and/or sign-off a finished project. Cortec Ltd are a Principal Contractor specialising in High-End Residential Projects, Healthcare Projects and Office to Apartment Conversions in the £200k - £2m range throughout Surrey and the surrounding areas including Hampshire, West Sussex and SW London. We are specialists: We know what we excel at – and we focus solely on this. We are no ordinary principal contractor. We are local: Based in Godalming, we have more than 20 years of experience as a principal construction contractor in Surrey, Hampshire, West Sussex and South West London. We are your partner: We add value to every project. This is why homeowners, landlords, healthcare service providers and architects all consider us as a partner. We are family: We're independently owned and care passionately about our business, our clients and our reputation. We are Cortec. Adding Value. Delivering Projects. We are a small, friendly team with enough experience to cope with any domestic building needs. If you ring up you’ll get through to either Andy or Kate and we’ll be happy to give you any advice or answer any questions you might have. Even if you’re only at the “thinking about it” stage we can offer advice on how to progress through the planning and design phases. Although the core crew are multi skilled to a high level, we employ a range of subcontractors as and when required. We have selected them with care and they have proved to be consistently reliable and happy to work to the high standards that we demand. We are an experienced established and successful construction company, covering all aspects of the industry from conception to completion. We liaise with architects, engineers, planning and building control ensuring that every detail of the project is covered. We keep the budget on target making the experience an enjoyable one. We take pride in our ability to offer a well managed approach to all of our projects. Our professional team are experienced and courteous ensuring the highest quality finish and, importantly, a good experience. MS Building is a group of experienced, highly trained professional designers, builders and fitters who comprise one of the most successful building companies in and around the Hove, Sussex Area. We manage all the day to day tasks underlying construction, building, and interior designing, handing you a completely finished, top quality project in the end. Why not build you own house with the help of Brighton, East Sussex builders? Builders in Brighton, East Sussex can be employed to handle a wide range of projects; from knocking down a partition wall to building a kitchen extension, but you’ll certainly need the help of a trusted house builder if you plan to build your own home from the ground up. But why would you take on such a task? This may seem like a daunting task, and admittedly, it’s not for the faint-hearted. But with extensive research, trusted builders in Brighton, East Sussex, detailed budgeting and good judgement you might soon be sitting in the house of your dreams, at a snip of the cost. Your architect’s plans will serve as clear instructions to your builder and, if the former has done their job well, you should also avoid any nasty surprises with the local council. Finding the right Brighton, East Sussex builder need not be a long or difficult process. 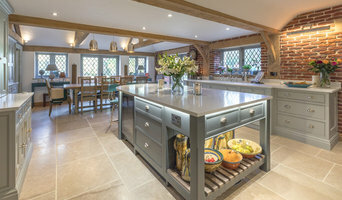 Personal recommendations aside, a good place to start is the Brighton, East Sussex Home Builders category of the Find a Pro section on Houzz, where you can see their previous work and ask questions. Compile a shortlist of at least three builders in Brighton, East Sussex that can handle the full scope of works, either by themselves or through sub-contracting. It is often a good idea to play devil’s advocate and ask what the builder will not be responsible for, such as structural engineer consultations. Be weary of unusually cheap quotes. Ask for references and stories about how the builder has met different challenges along the way. If you can, you could try to see builders’ previous projects in person and talk to previous clients, or if not, read reviews, recommendations and ratings, and look at detailed photos of projects. How long have you been operating as builders in Brighton, East Sussex? Find builders on Houzz. 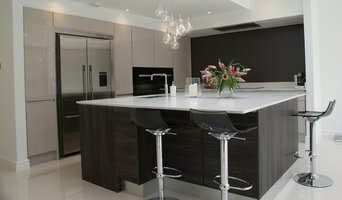 Narrow your search in the Professionals section of the website to builders in Brighton, East Sussex. You could also look through Brighton, East Sussex photos to find a project you like, then contact the Brighton, East Sussex builders that created it.